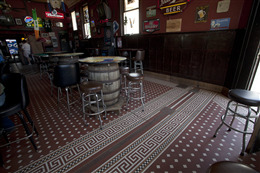 Ceramic tile flooring is common in historic houses throughout Wisconsin. If your historic house contains ceramic tile flooring that is cracked, you can repair the cracks instead of replacing your historic tiles. As your historic house settles, cracks can appear in the grout between the tiles as well as cracks through the tiles themselves. Most historic floor and wall tile was laid into a bed of mortar. Grout was used between adjacent tiles to seal the bed of tile from moisture. All historic grouts were unsanded, which is basically pure cement with little to no sand added to the mixture. Unsanded grouts are still widely available in a variety of colors. Carefully dig out the debris that has settled into the tile cracks over time. Use any tool with a small enough tip that it will not scratch the tile. Vacuum dust and small bits of debris from the cracks and gaps. Buy several different colors of unsanded grout that are close to the color of the original grout or the color of the cracked tiles. Original grout was often white or off-white. However, over time, dirt and grime usually turns the original grout into a shade of gray. Mix the different colors of grout on a small piece of plywood by following the manufacturer’s instructions. You can also mix several different colors together to create new colors. Allow the grout sample mixtures to cure. Take the grout samples off the plywood board and put them next to the original grout or tile cracks so you can identify the closest match grout or mix of grouts from the samples you have prepared. Mix enough of the grout you've chosen to fill all the cracks and gaps. Lightly wet the cracks and gaps with water. Use a plastic putty knife to work the grout back and forth into the cracks and gaps until they are solidly filled. Use a sponge and clear water to wipe off the excess grout. Allow the grout to cure for the length of time recommended by the manufacturer. perfected the art, and by the early 1930s, it was the largest tile producer in the world. 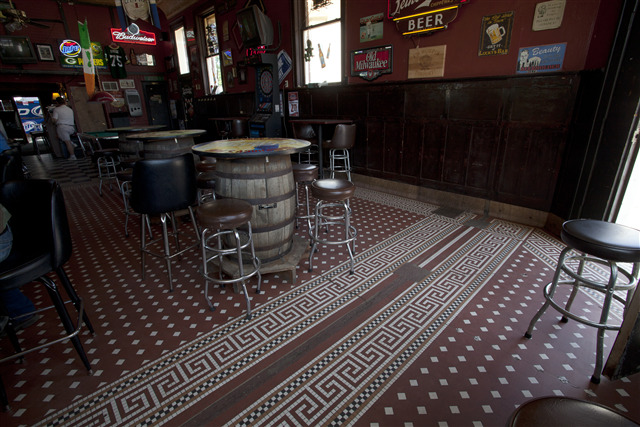 Encaustic floor tiles were manufactured with multi-colored designs. Each tile could have a multi-colored design, or many different solid-colored tiles could be combined to create a multi-colored design. 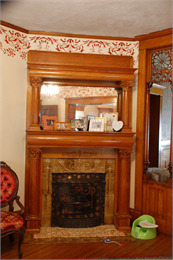 Encaustic tiles were primarily laid in foyers, bathrooms and around fireplaces between 1870 and 1900. 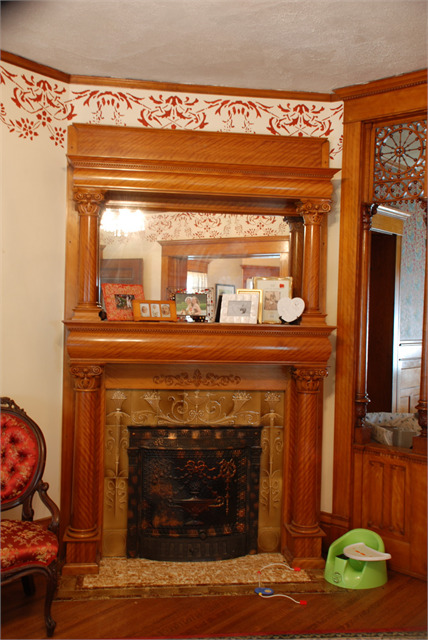 After the mid-1890s, tile companies began making surface-glazed, ceramic wall tiles. These tiles were installed in bathrooms and fireplace fronts. Subway tile, 3 x 6 inches in size, was commonly used on bathroom walls from 1900 through 1930. Until the 1950s, all floor and wall tiles were laid in a bed of cement mortar.